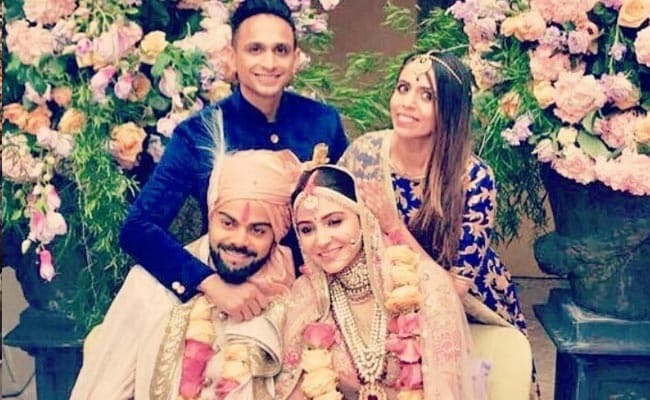 Anushka Sharma and Virat Kohli, the darling couple whose marriage almost became a national obsession, are now officially man and wife. Anushka, who is one of the top actresses of Hindi filmdom, and Virat, who is the current captain of the Indian national cricket team, have striking individual net worths. Besides being successful in their careers, Virushka endorse many brands. The power couple also owns business ventures in the world of Bollywood and sports. With their marriage, the brand value of 'Virushka' is likely to increase, say experts. Virat Kohli and Anushka Sharma are currently endorsing around 28 brands. Virat is endorsing 18 brands that includes Audi, Tissot and MRF while Anushka endorses 10, including brands like Polaroid, Pepsi and her own apparel brand, Nush. They are together endorsing a men's ethnic wear brand, Manyavar. If we believe the various media reports, Anushka currently charges Rs 1.5 crore a day for her advertisements. Virat, on the other hand, reportedly charges Rs 5 crore a day for his endorsements. Both Virat and Anushka have ventured into different businesses. Virat runs a gym chain called Chisel. He is also the co-owner of UAE Royals, a tennis team from Dubai. Anushka has started her own production house, Clean Slate Films. She also has her own apparel label, Nush. According to a report, Anushka's net worth is estimated at Rs.220 Crore while Virat's net worth is estimated at Rs 382 crore. According to a report, adman Prahlad Kakkar said that the wedding will give a huge lift to the brand 'Virushka'. Brand value analyst Harish Bijoor, however, said that the brand value may decrese with the wedding. On Monday, Virat Kohli and Anushka Sharma posted pictures of their wedding on their respective Twitter accounts. The pictures, videos and clips from the marriage of the love birds are breaking the internet. Fans are unable to control their anticipation and everybody can be seen talking about this private wedding that took place in Milan, Italy. "Today we have promised each other to be bound in love forever. We are truly blessed to share the news with you. This beautiful day will be made more special with the love and support of our family of fans & well-wishers. Thank you for being such an important part of our journey," the couple posted individually on their Twitter account. Anushka entered into the world of Hindi films with 'Rab Ne Bana Di Jodi' in 2008 and has established herself as one of the most successful actresses of Bollywood. Virat is one of the favorite and successful cricket players of India. It was in December last year that reports of Virat and Anushka's wedding first broke. But they turned out to be false. However, in October this year, a newspaper reported that an Italian wedding may be on the cards for the couple.